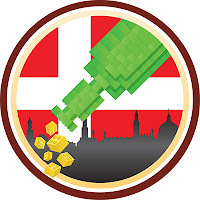 As you guys can probably deduce, if you don't already know, the Danish Delight badge is for drinking beers from Denmark - leveled in 5's as usual. You'll be seeing plenty more of this badge in the future as I continue to work through the Amager collaborative series and a few Mikkeller's I have stashed. 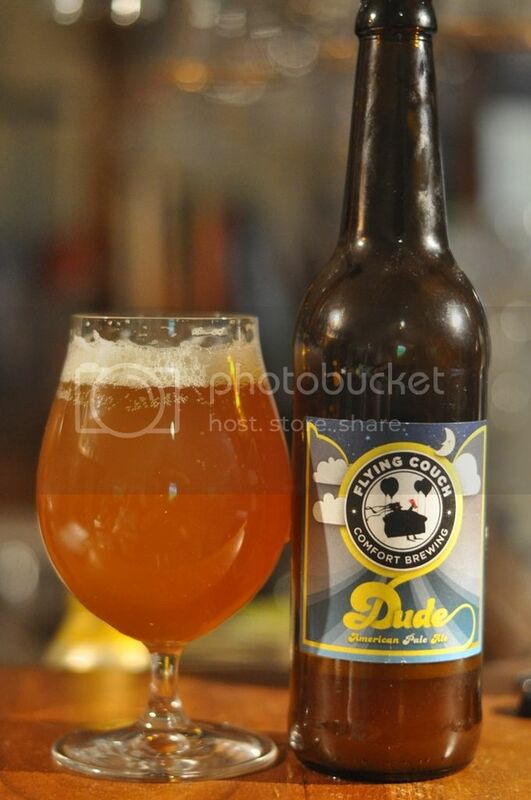 Enough about other Danish beers, it's time to talk about Flying Couch's Dude. The beer pours a very murky orange colour with a think cream coloured head. The head faded to a ring, very quickly, and then disappeared completely not long afterwards. Accordingly there is almost no lacing left behind and the beer looks a little underwhelming. Onto the nose and it's mostly driven by citrus hops, with orange far and away the most prominent and a bit of grapefruit towards the backend. There's also a fair bit of sweetish biscuity malts that provide balance. Flying Couch's Dude tastes similar to what I expected after the nose. The malts were relatively light, with caramel and biscuity qualities both present. The hops were citrussy, with orange pith dominant and grapefruit in the periphery. There were hints of pine as the beer warmed up, whilst the beer finishes nice and dry. Was this a sensational experience? No; it wasn't particularly memorable. Whether that was in part due to the age of the bottle I'm not sure. Don't get me wrong, this is certainly an above average Pale Ale, I just don't think it justifies the big price tag. Can people who've tasted this fresher please get in touch with me and tell me what you think?